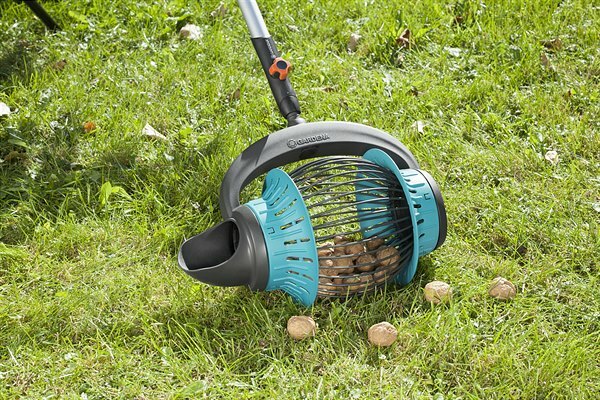 The Gardena product range comprises first-class gardening aids which convert the autumnal gardening chores into a comfortable and safe experience. When the gardening season comes to an end, it's pruning time. Trimming back tree crowns can often be particularly challenging. The right equipment ensures that both the gardener and tree come out of this task unscathed. Regular pruning is important in order to foster the trees' growth, prevent them from falling prey to illnesses and - in the case of fruit trees – to improve their harvest. In the case of high and very dense trees, the work in the tree crowns constitutes a not-altogether-safe balancing act. 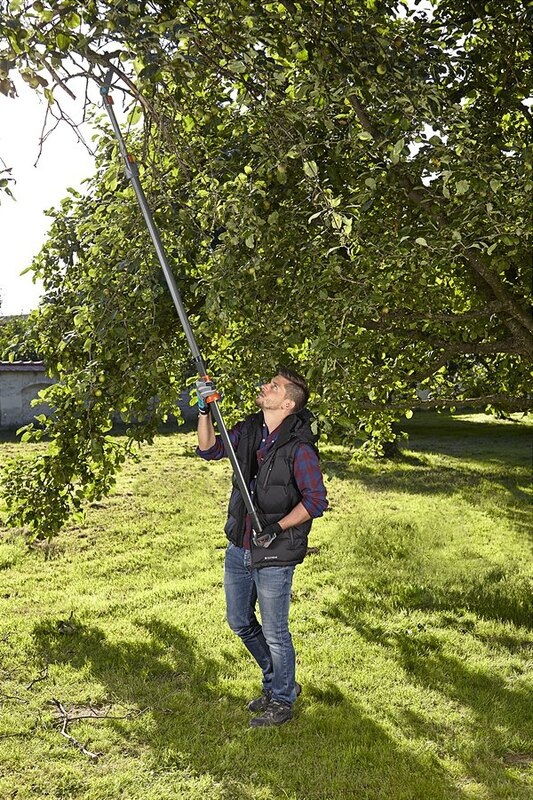 With branch and shrub pruners featuring telescopic handles, such as the Gardena TelePscopic StarCut 410 plus, this task can be tackled effortlessly from the ground. Extended to its maximal length, it can cover a working height of up to 6.50 metres and thus even cope with high-grown trees. 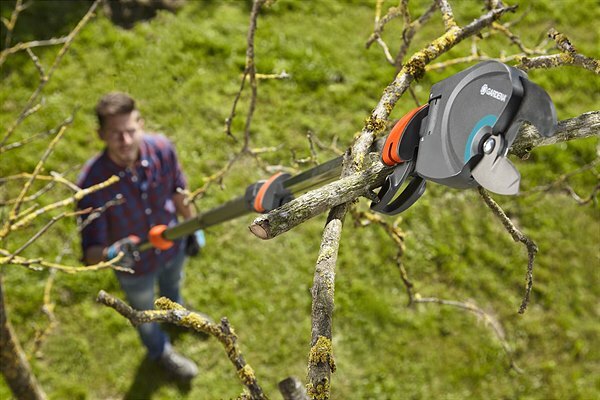 Any branches left on the tree after cutting may be easily brought back down to earth with the adjustable hook. Older trees in particular may sport branches too thick for a branch pruner. But that does not mean that a ladder is the answer here. 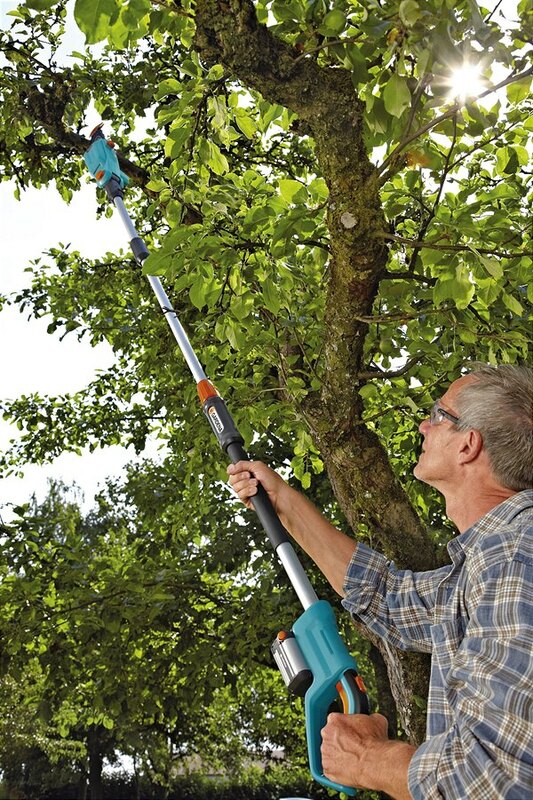 With the Telescopic Accu Pruner, even remote branches with a diameter of up to 15 centimetres may be trimmed back - even if they are located four metres and beyond above the ground. Care should be taken when the branch falls to the ground. Autumn time is harvest time! 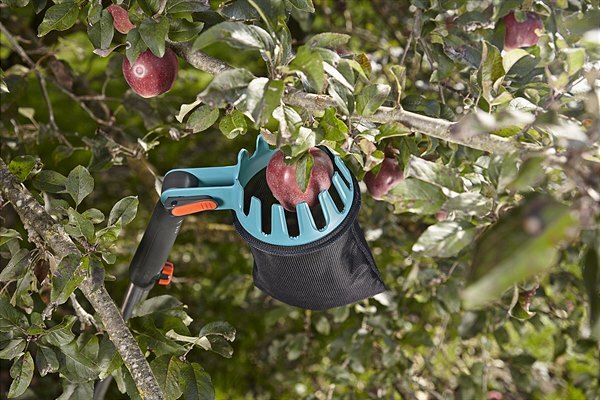 In order to comfortably reach even the last fruit on the tree, Gardena offers a down-to-earth alternative to reckless climbing manoeuvres – the Gardena combisystem Fruit Picker. In combination with a telescopic handle, fruits in heights of up to approximately five metres can be collected in the blink of an eye. Its collection bag swiftly and safely catches the harvest without jeopardising the gardener or the fruits. Any windfalls should quickly be removed from the lawn or the bed, before they are attacked by fungal spores, bacteria or insects. Nothing easier than that with the combisystem Fruit Picker, which effortlessly collects windfalls without forcing the gardener to bend down.